Are You A Genetic Carrier For These Conditions? What is a carrier screening test? Carrier Screening analyzes if a person carries or possesses the gene for a particular genetic disorder. The test is mostly performed before or during pregnancy to find out if the couple has the chances of having a child with any genetic disorder. A ‘carrier’ is an individual who has a single allele associated with a genetic disease. Carriers usually don’t experience any symptoms or just mild symptoms. They are generally not even aware that they have a gene that causes a disorder. What is a genetic carrier screening? Genetic carrier screening is testing to find out if you or your partner carry any genetic mutation that could cause severe inherited disorders in your child. The most commonly screened diseases and health conditions include cystic fibrosis, thalassemia, Tay-Sachs disease, and sickle cell disease. What is Foresight Carrier Screen? Foresight Carrier Screen helps you find out if you carry mutations (genetic changes) that could be responsible for severe genetic disorders in your offsprings. For most of the conditions, your children might be at risk of developing symptoms only if both parents carry one mutation in the same gene. However, there are certain disorders which can be passed on to children even only the mother carries the mutation. Your foresight carrier screen results can help you make informed decisions along with your partner about your family, especially if it is done before pregnancy. What does heterozygous carrier mean? A gene in an organism can be of two types- homozygous or heterozygous. A homozygous condition arises due to the presence of two copies of the same allele for a gene. The presence of two different alleles of a gene is called heterozygous. Individuals who are carriers are always heterozygous. What causes a genetic disorder? A complete or a partial change in a DNA sequence compared to its standard form can cause a genetic disorder. While a mutation in one gene causes a monogenic disease, a mutation occurring in multiple genes causes multifactorial inheritance. Some of the other factors include environmental factors and chromosomal abnormalities. Genetic disorders occur when a person inherits a particular mutated disease-causing gene. The mutated gene gets passed down through a family with each child inheriting the disease-causing gene. What is carrier frequency genetics? Also known as carrier rate, it is the proportion of people in a population who possess a single copy of a particular recessive gene mutation. It is sometimes also applied to the prevalence of mutations in dominantly acting genes. How is carrier testing done? Blood or saliva samples are drawn and sent to the laboratory. The sample is then processed and examined to find out mutations that are responsible for genetic disorders. It can take several weeks to obtain the results which may indicate as to whether or not you have the variation associated with any genetic diseases. What can genetic testing reveal? Genetic testing can reveal mutations in your genes that could be responsible for diseases or disorders. Despite providing essential information about diagnosing, treating and preventing these diseases, genetic testing has certain limitations. 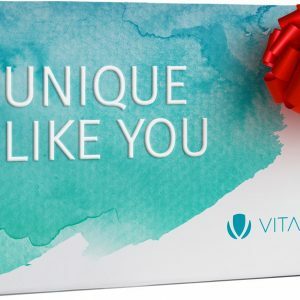 For instance, in an average, healthy person, a positive result obtained from a genetic test doesn’t necessarily mean that they will develop the disease or condition. Likewise, a negative result does not necessarily imply that an individual would not develop the condition. It is important to discuss your results with your doctor, medical geneticist or a genetic counselor. Genetic testing determines your risk of developing certain diseases. Diagnosing testing– Used to confirm a diagnosis, when you have symptoms of a genetic disorder. Presymptomatic & Predictive testing– When you have a family history of a genetic disorder, you can get this done before you experience any symptoms to find out if you might be at risk of developing it. Carrier testing– Done before you plan for a child, this testing detects if you or your partner possesses genes associated with any genetic diseases and mutations and if either of you might be carriers for those diseases. Carrier screening is recommended to individuals who belong to a high-risk ethnic group or those with a family history of genetic disorders. Pharmacogenetics– For individuals suffering from certain diseases or health conditions, this testing can help determine the most effective and beneficial kind of medications and dosages for you. Prenatal testing– This test is done during pregnancy to detect abnormalities in the genes of the fetus. Amniocentesis is performed to screen for genetic disorders like Down syndrome and trisomy 18. Also, there is a new method called cell-free DNA testing that explores a baby’s DNA via a blood test done on the mother. Newborn Screening– This is done to test for genetic and metabolic abnormalities in newborns. Since this type of testing can detect disorders like congenital hypothyroidism, sickle cell disease, and other conditions. Newborn screening ensures early detections and treatment of genetic diseases in newborns. Preimplantation testing– When couples attempt to conceive a child via in-vitro fertilization methods, the embryos could be screened to detect genetic abnormalities. This way, only embryos without abnormalities are implanted in the uterus. Breast & Ovarian Cancers– About 5-10% of these cancers occur due to 3 mutations in the genes BRCA1 or BRCA2. The BRCA genes belong to a class of genes known as tumor suppressor genes. Women with these mutations are five times more likely to develop breast cancer and 15-40 times more likely to develop ovarian cancer. Celiac disease– Affecting about 2 million Americans, this is an autoimmune disease triggered by a protein called gluten that is found in wheat, rye, and barley. The disease occurs in the small intestine leading to diarrhea and pain in the abdominal area. According to a 23andMe study, around 87% of the disease is attributed to genetics. The geneticist usually tests for HLA-DQ, a protein from the immune system which is encoded by a set of genes located on chromosome 6. About 1 in 22 people with an immediate relative such as a parent, sibling or a child with the disease are likely to develop the disease themselves. Moreover, those with a second-degree relative (uncles, aunts, nieces, nephews, grandparents, grandchildren or half-siblings) have a risk of 1 in 39. Age-related Macular Degeneration (AMD)– One of the most common causes of irreversible loss of vision in Americans who are older than 60. AMD causes one’s retina to deteriorate and result in central vision loss that is essential for reading, driving or facial recognization. Per 23andMe, While both genetics and environmental factors are responsible for the development of the disease, heredity attributes to around 71% of the cases. Genetic testing focuses on ABCR genes. According to the Macular Degeneration Foundation, individuals with variations in these genes have a 30% higher chance of acquiring AMD. Bipolar disorder or the manic-depressive disorder– A mental illness marked by severe mood swings from despair to euphoria affects 5.7 millions of Americans aged 18 and older, according to the National Institute of Health (NIH). The disorder has a strong genetic component even though researchers have identified very few associated SNPs. 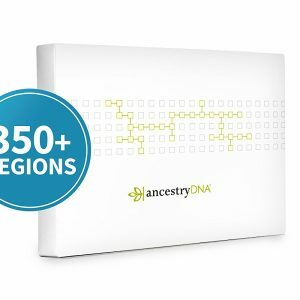 According to a study by 23andMe, around 93% of the cases are due to genetic factors. Genetic testing for bipolar disorder looks for a protein marker encoded by the gene ANK3 that is associated with nerve cell structure and function. Per the Center for Genetic Education in Australia, an average person has 2-3% chances of developing the disorder, and the risk only gets higher with the increase in the number of relatives affected and their degree of relatedness. Individuals with a mutation on a gene called Fat located on chromosome 4 has twice the risk of developing bipolar as the average person. Obesity– With as high as one-third of Americans affected by this condition, researchers haven’t yet figured out the number of genes responsible for it. Although, according to 23andMe, genetic factors attribute to almost 84% of obesity. Mutations in the gene FTO accounts for nearly 7 pounds of weight difference. Parkinson’s disease– The neurological disorder caused due to a loss of dopamine-secreting brain cells. Common symptoms include trembling limbs, jaws and face, stiffness in the trunk and legs, reduced movements and impaired coordination and balance. An NIH study shows that at least 500,000 Americans have been diagnosed with this disease. Mutations in the gene LRRK2 is associated with an increased risk of developing Parkinson’s disease. There are more than 50 known variations of the gene with several ones related to the disease. Psoriasis– The highest prevalent autoimmune disease in the United States with almost 7.5 million sufferers, as reported by the National Psoriasis Foundation. Psoriases is characterized by red, scaly lesions covering any part of the one’s body. Per 23andMe, about 80% of the condition is attributed to genetics and occurs whenever the T-cells attack the skin. HLA-C gene mutations and seven other DNA variations have been linked to psoriasis. Although, environmental factors play a role in the development of psoriasis, and only about 10% of patients with HLA gene variations do so. What are the genetic diseases for which carrier testing can be useful? How much does carrier testing cost? Genetic testing can cost you from $100 and exceed $2000 depending on the type and complexity of the test. It will also depend on the number of tests- whether its a single test or if multiple family members would be taking it to obtain a meaningful result. Newborn screening costs vary from state to state. While some states cover part of the total cost, others may charge $15 to $60 per infant. While most carriers are asymptomatic, i.e., (exhibiting no symptoms), certain others do experience some mild symptoms. For instance, approximately one in 31 Americans is an asymptomatic carrier of a defective CF gene. Why is carrier screening important? Carrier screening is a significant step forward to making informed decisions concerning family planning. Carrier screening enables prospective parents to understand if they are at risk of passing on an inherited genetic disorder to their offsprings. When done before pregnancy it is advantageous since it enables the couple to perform research, seek resources and make an informed decision. Couples are encouraged to consult a geneticist or genetic counselor before planning a pregnancy. Genetic counseling is highly recommended along carrier screening as a genetic counselor can explain testing options and help interpret test results to make the right decisions. How long is carrier screening/ how long do results take? It might take about a couple of weeks to get your results of carrier screening. Is everyone a carrier for genetic abnormalities? All individuals carry two copies of most genes (one from each of their parent). A genetic carrier is any person who possesses a mutation in one copy of any gene. While carriers do not have the disease linked to the mutation, they might pass it on to their offsprings. For the most part, all individuals carry a gene for at least one genetic disease. However, the concern is that if both parents have the same mutations. What genetic diseases are tested during pregnancy? Should you get genetic testing before getting pregnant? Getting a genetic test done before planning for pregnancy can tell you the odds of having a baby with any genetic disorder. It is recommended that a couple should take it if in case either one of them has a higher risk of passing on certain diseases to their children. Thanks to the advent of genetic testing, the number of people with genetic disorders like Tay-Sachs has gone way down! However, for couples where neither of them is at high risk, they can take an opinion from their doctor or genetic counselor to make the decision. Risk of potential issues in an unborn child. Are there prenatal tests for Down syndrome? Prenatal testing can identify women with a high risk of having a down syndrome child and cannot determine certainly if the fetus is affected or not. There are diagnostic tests that are extremely accurate at prenatal screening for down syndrome. While genetic screening tests have absolutely no risks of miscarriages, the diagnostic ones have a small (<1% chances) of miscarriages. Are there prenatal tests for Edward’s syndrome? There are noninvasive prenatal genetic testing that can determine if your baby is at risk of developing Edwards syndrome or other trisomy disorders. If in case the results indicate a high risk, your doctor might recommend specific diagnostic tests which might be more invasive but could find out if your baby has the disease or not. What factors influence doctors to perform various prenatal tests? Doctors recommend prenatal tests to look for signs that the baby is at risk for certain genetic disorders or congenital disabilities. Medical conditions like high blood pressure, diabetes, autoimmune diseases, seizure disorders, and others. How much does the BRCA test cost? With different types of BRCA testing offered by many laboratories these days, the cost ranges from $475 to $4000, varying according to the laboratory that provides the test. The moral and ethical issues regarding genetic testing have seen considerable debates. There are two theories to be considered while answering ethical questions about genetic testing. Utilitarian perspective is that moral decisions should be decided by calculating a burden/benefit ratio from the society point of view. According to this, if there are many people at risk, they should be informed about it. Also, family members at risk should be told in advance to reduce the intensity of pain via medical intervention, decrease the duration of symptoms, delay the onset of symptoms, and increase the quality of life. Libertarian Perspective has a belief that personal autonomy has the highest moral value; implying that each person has his/her rights to make informed decisions. According to this perspective, it is up to an individual to understand their disorder and make a choice about informing family members. It is expected that individuals may consent to genetic testing not just for their good but also for the sake of family and society. Also, genetic disorders are attached to social stigmatism. People diagnosed with genetic disorders could be discriminated and harassed by others. A libertarian view is that every individual has the right to be happy and make their own choices without being influenced by doctors, counselors or other members of the society. Ideally, there should be a balance between these two perspectives. Thus, if a physician is trained in genetic counseling, ethics, and genetics, he can help the patient make a completely informed decision about genetic testing with regards to the rights of the patient along with those affected by the patient’s choices. What are the ethical legal and social issues of genetic testing? Communicating Test Results: While the results are being disclosed to people it is important to understand that the results will not be straight-forward. There may be potentially inconclusive results or risk estimates. Individuals need to understand the extent of the information actually received. The results containing any personal identifiers shouldn’t be provided to any outside parties (employers, insurers, government agencies, etc) without the written consent of the patient. Direct-to-Consumer (DTC) tests: These tests do not involve recommendation from a physician. Genetic Discrimination: The fear of discrimination can impact an individual’s decision to utilize genetic testing services. They also fear discrimination in employment, health insurance and if their genetic information might be used to stigmatize them. Healthcare providers should be sensitive to the fact that some groups may distrust the use of genetics as a health tool. The Genetic Information Nondiscrimination Act (GINA) prevents health insurers from denying coverage or adjusting premiums by genetic testing and prohibits employers from using such information to hire, fire or promote individuals. The law also limits employers to request, require or purchase an employee’s genetic information. Privacy: The privacy of genetic information is a major concern for patients and to protect it and avoid its inclusions in one’s medical records is generally preferred. Psychosocial impact- Each person may respond in a different way to a genetic test result- be it negative or positive. Since there is no right or wrong response, doctors should refrain from judging them and help them understand how to proceed with available options. Referrals to genetic counselors, psychologist or social workers should be made as required. Societal values: Questions about personal responsibilities, personal choices vs. genetic determinism and concepts of health and diseases can be raised. Health professionals should be respectful and sensitive to cultural & societal values and work together with the patient to define an appropriate course of action and follow-up care. Test Validity: Since most genetic tests are offered as services and not approved by the FDA, the information should be shared with the patient as they consider whether the test is appropriate for them or not. Genetic tests should be ordered only from CLIA or government certified laboratories. Why can’t a male be a carrier? Males have one X chromosome and a Y chromosome, whereas females have two X chromosomes. In X-Linked inherited diseases, a male with a mutation in a gene on the X chromosome gets the disease, but since they have only one X chromosome, the gene alteration just gets transmitted from female carriers to sons and not from male carriers. This is because males transmit only their Y chromosome to their sons and do not pass on an X-linked recessive condition to their sons. Can males be carriers of diseases? Typically females with a mutated gene in the X chromosome is said to be a ‘carrier’ for an X-linked condition, and a male with a mutated gene in the X chromosome gets affected with the condition. Males with a mutation in a gene on the X Chromosome can transmit either the mutated X chromosome or a Y chromosome to his children. If the child is a male, he would not be affected with the disease since he inherits only the Y chromosome from his father and an X chromosome from his mother. And if the child is a girl, she might be a carrier or get affected by the disease since she gets the mutated X chromosome from the father. Can males be carriers of hemophilia? No, it is females with one affected X chromosome who are carriers of hemophilia. Sometimes these carriers can exhibit symptoms of the disease and pass on the affected X chromosome with the mutated clotting factor gene on to her offsprings. Can a man be a carrier for color blindness? The faulty gene responsible for color blindness is present only on the X chromosome. If a woman has a single color blind gene, she is known as a ‘carrier’ but won’t be color blind herself. She will pass on her faulty X chromosome to her child- if it is a son, he will be color blind. Thus, only females are carriers of this condition. Can you be a carrier for a dominant trait? In genetics, the term ‘carrier’ refers to anyone who carries two different forms of a recessive gene. An individual with one dominant and one recessive allele for a gene will have the dominant phenotype. They are usually called “carriers” of the recessive allele and not that of the dominant allele. What does it mean to be a carrier of sickle cell? Carriers of Sickel cell disease are at risk of having children with the disease. However, only if both parents are carriers of the disease, your child has a 25% chance of not having it nor being a carrier and a 25% chance that the child will be born with the disease. Another 50% chance is that the child will be a carrier but won’t have the disease. Thus if both parents are carriers of Sickle cell disease, it is essential to consult a genetic counselor to get the risks and options explained. Who is the carrier of sickle cell disease? A carrier for sickle cell disease is a person who has one gene for sickle hemoglobin and another for normal hemoglobin. While they do not face any symptoms or issues and lead healthy lives, they are likely to pass it on to their children. 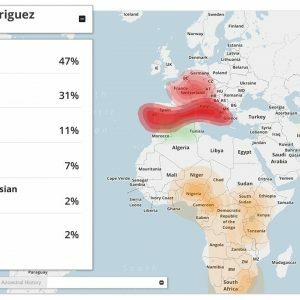 Does 23andMe carrier status report rule out the possibility that a person is a carrier for any inherited diseases? No, it doesn’t. This is because they do not perform carrier testing for all inherited diseases and for those conditions that they do, they don’t report on all possible variants. 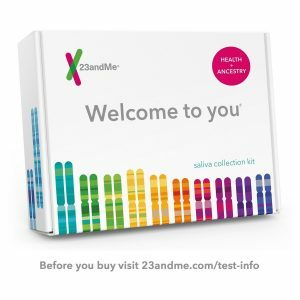 Why doesn’t 23andMe’s carrier status test include all the genetic variants associated with the condition? Most conditions included in the carrier status reports could be caused due to hundreds or thousand different genetic variants. 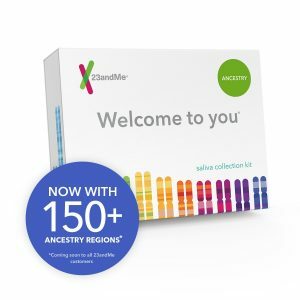 23andMe’s carrier status reports cover many variants but do not include all the possible variants associated with each condition. Why are certain carrier status tests more relevant for some ethnicities than for others? Certain conditions occur more frequently in a particular ethnicity than others. For instance, sickle cell anemia is most commonly reported in African descent, and Bloom syndrome among the Ashkenazi Jews. Xcode Life’s Carrier Status Report provides information on more than 250 inherited genetic conditions.